The Attachment Awards honor the best attachments and implements released in the past year. Congrats to these innovative attachments for being the best new products introduced to the market in 2014. 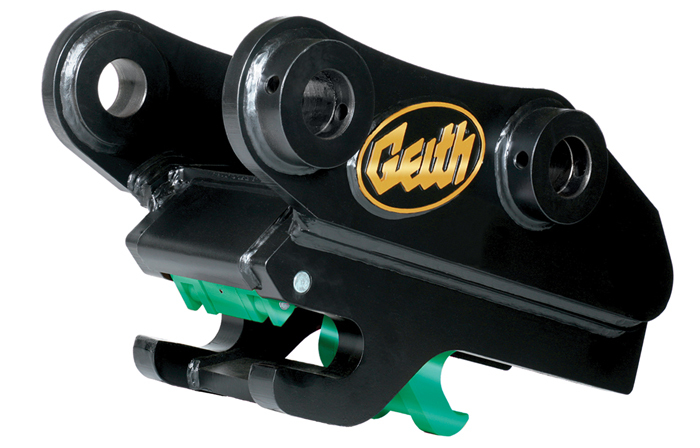 Geith is all about safety, ease of use and productivity. Featuring four independent safety components, the fully automatic, double locking Geith Generation 3 (G3) quick coupler complies with the impending safety standards set forth by ISO/FDIS 13031:2013(E). The front safety lock retains the attachment in the event of an improper link/rear pin connection and enables the operator to visually confirm that the coupler is locked from the cab, while the front safety lock and the mechanical secondary rear safety system independently retain the attachment in a working position should a loss of hydraulic power occur. Unlike gravity-type systems, both the front and the rear spring-retained safety locks maintain high functionality in severe and dirty environments. 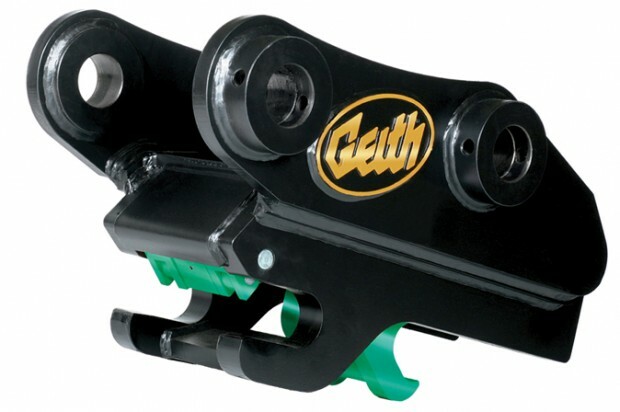 In addition, the new G3 quick coupler features a hydraulic cylinder check valve, as well as the Geith-patented “curl to release” control system, providing a safe process for attachment engagement and release. For more info, visit geith.com.